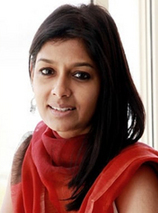 to get instant updates about 'Nandita Das Photos' on your MyPage. Meet other similar minded people. Its Free! nandita das photos says "Albert Pinto Ko Gussa Kyun Aata Hai is a Hindi movie directed by Soumitra Ranade starring Manav Kaul, Nandita Das, Saurabh Shukla, Kishore Kadam and others"